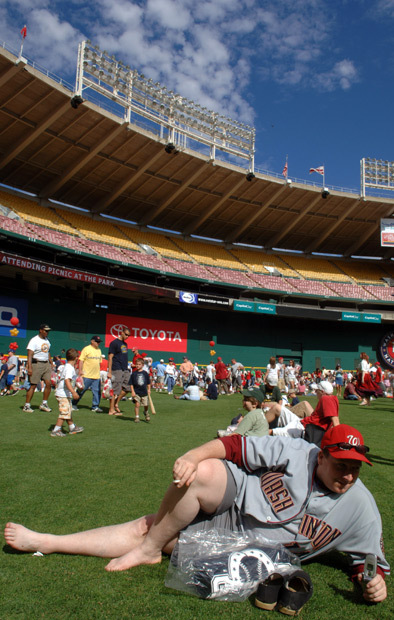 My friend Sprengelmeyer invited me to a picnic at RFK Stadium for Nationals' season ticket holders. We each got a free bag of stuff and Sprengelmeyer smoked cigarettes on the field. There were a lot of baseball fans out on a Sunday afternoon. 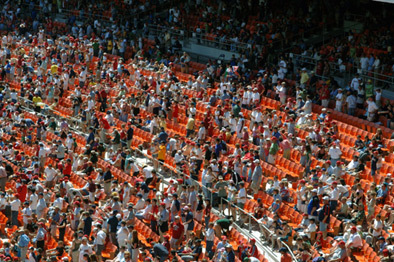 And after the Nats won it appeared everyone who attended the game was a season ticket holder.